I headed out to Colleyville Nature Center early on Sunday morning. 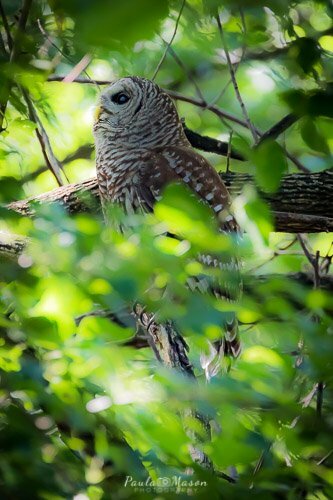 I had heard tales of some owls in the area, and I was hoping to get a shot of one. 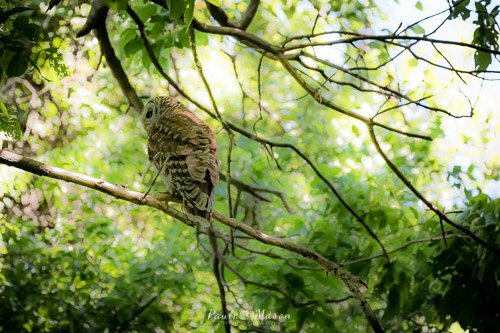 I have never seen an owl in the wild – well…until now! I spent a few hours hiking around getting some great photographs of many new birds, and some of my old favorites as well. As I was heading back along the path that takes you through the woods (back to my car), I saw a large bird landing in a tree close to where I was walking. 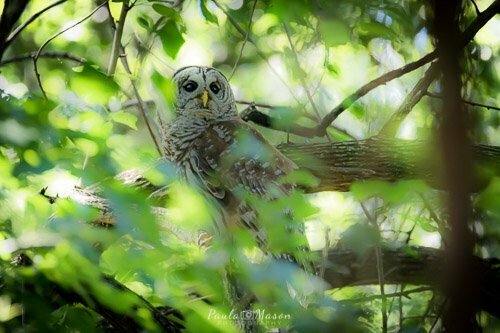 Guess what…it was a Barred Owl. I stopped in my tracks, took a deep breath, and fired off some shots. It was quite dark on this part of the trail, but I was able to get some pretty decent shots. Unfortunately, I was so excited and freaking out a bit, that I did not get the shot of him when he decided to fly off the branch and through the trees. But believe me when I tell you – – it was an amazing site!